If the door locks are not functioning well or the door lock button is broken, you may need to replace the door lock switch. The power door lock switch is the electrical rocker switch that is used to lock and unlock a vehicle’s power door locks. It is a one touch switch that rocks back and forth. These will switch one way to unlock the doors, and the opposite way to lock them. When the button is pressed, power is sent to the door lock actuators so that the doors can be locked or unlocked. They are usually installed on the interior of the vehicle on the inside of the door, easily accessible to each driver and passenger. Power door lock switches are simple in build and operation, however, due to the high frequency of use, they are often prone to failure and need to be replaced in some cases. When the door lock switches fail, it can cause problems with locking and unlocking the doors. Usually a bad or faulty door lock switch will produce a few symptoms that can alert the driver of a potential problem. One of the first symptoms of a potential problem with the power door locks are door locks that function intermittently. If the electrical contacts inside of the switch wear out, they may not be able to properly conduct power to the door lock actuators, and may cause them to function intermittently. Worn electrical contacts may also cause the switch to rapidly lock and unlock, all of which can be an annoyance to the driver. Another symptom of a problem with the power door lock switch is a broken button or rocker. Most door lock switch buttons are made of plastic, which can be susceptible to breaking and cracking due to their high frequency of use. Usually a broken button or rocker will require replacement of the entire switch assembly to restore functionality. Another more direct symptom of a problem with the power door lock switches are door locks that will not function when the switch is pressed. If the switch fails completely, it will not be able to conduct power to the door lock actuators, and as a result, the door locks will not function. While most power door lock switches are built to withstand extended use, they are still susceptible to failure, and can be an inconvenience for the driver when they do. If your power door locks are displaying any of the symptoms above, or you suspect that there may be an issue, have the vehicle inspected by a professional technician, such as one from YourMechanic, to determine if your vehicle needs a door lock switch replacement. 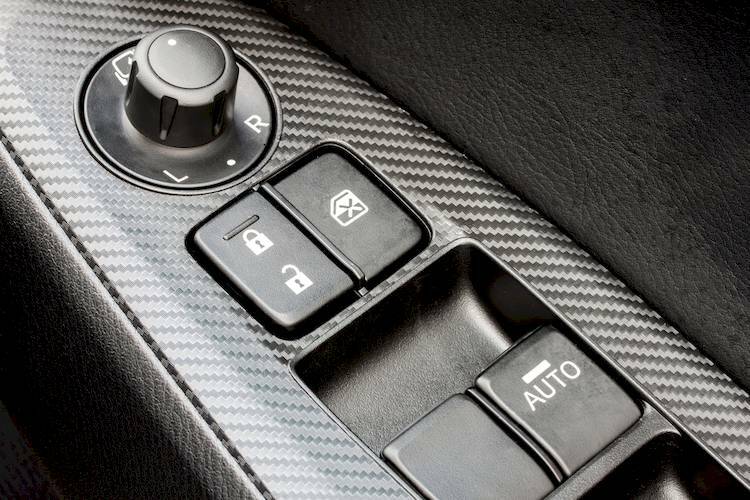 Q: What is the range of the keyless entry remote? Q: ABS and brake light are on.